Functionally speaking trophies and achievements are the same thing. You do a thing, a notification flashes up on your screen and your profile for that system will now tell all who view it that you did the thing. There are a few differences between the two however which, if pressed to pick one over the other would result in me choosing trophies. Any typical achievement on an Xbox game could give you points from anywhere on a fairly broad range. Some achievements might only give you five points, others might give you 50, I’ve even been given an achievement with 0 points attached (though why such an achievement exists is beyond me). Trophies on the other hand come in four distinct categories, bronze, silver, gold and platinum. Because of this system it is fair easier at a glance to tell how noteworthy a trophy is. Bronze is something anyone can do, silver is more impressive but still not quite rare, gold is noteworthy and platinum exists to say that you have collected all other trophies for a game. Xbox achievements have various levels of points but there is no standard by which to measure any one achievement against. Two achievements that are identical in effort and time involved may have different scores attached. One game may have less achievements than another but may offer more gamertag points. Obviously 5 isn’t worth bragging about and 150 is (well to anyone who cares to brag about these things), but where is the line? With trophies that line is more clearly defined. Part of the point of such reward systems is the sense of competition they aim to create. Xbox achievements aren’t bad in this regard, you can tell what someone’s score is, how many achievements they have unlocked and what their ratio of unlocked/yet to achieve is. But because there is no standard to compare achievements against this is another area in which I feel trophies work better. 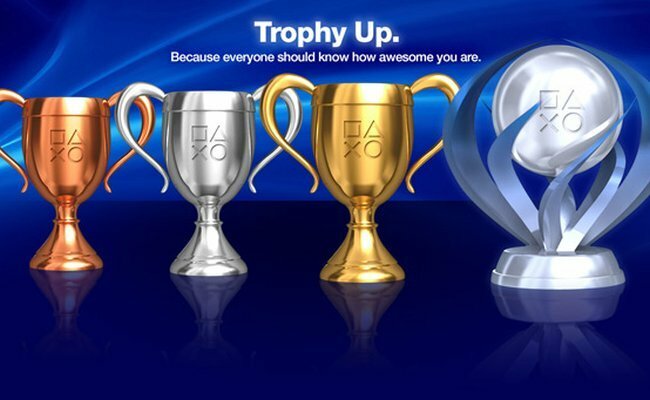 When you look at someone’s PSN profile it tells you how many of each level of trophy they have unlocked. With one simple glance you can tell who is getting by mostly on bronze trophies and who is achieving more gold trophies and maybe some platinums. In this part of my article we get to the only part of achievements that actively annoy me. Once upon a time I had completed all of the achievements on Minecraft for the Xb0x 360 (and if you are wondering if this article isn’t in part of a rant about this sore spot then all I have to say to you is that no one likes a smart arse) and it was listed among my completed games. Since then more achievements have been added, I have now less than half of unlockable achievements and Minecraft is no longer on my list of completed titles. Similarly I have completed all of the original Dante’s Inferno achievements but I do not own the DLC and so it does not count as 100% completion. Meanwhile in trophy land on PSN DLC trophies are handled differently. When new trophies are added they become part of a separate list that do not affect the original set of trophies. If I were to gain a platinum trophy on a game it would not be undone because DLC came out that added more trophies. To put it simply, the trophy system protects against a feeling of progress being undone, where as the achievement system does not. So while they may perform the same role Sony’s trophy system benefits from a cleaner presentation with a more easily understood grading system and a better approach to DLC, which in my opinion make trophies better than achievements.